When people hear about the Butterfly Effect they have many questions about how it all works. 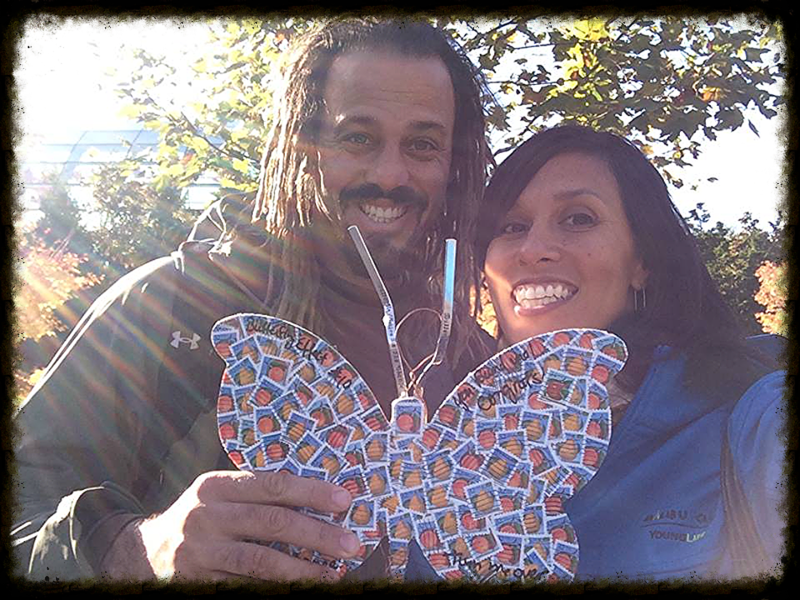 The Butterfly Effect Abassadors who are moved to share our story are flooded with excited questions all the time. The Anatomy of a Butterfly Drop is simple and vitally important to our cause, this post will outline how the Drop works and provide links for more information. Butterfly Effect is a global movement and this is your invitation to get involved and spread the molecules of love. Please share this and invite your friends to Be the Change they want to see in the world! The cornerstone of the Butterfly Effect movement is the Butterfly Drop and essential to every Drop are the butterflies that are designed by artists all over the world. Our artists come from all walks of life and are all ages and abilities, what unites them is their desire to make a difference. 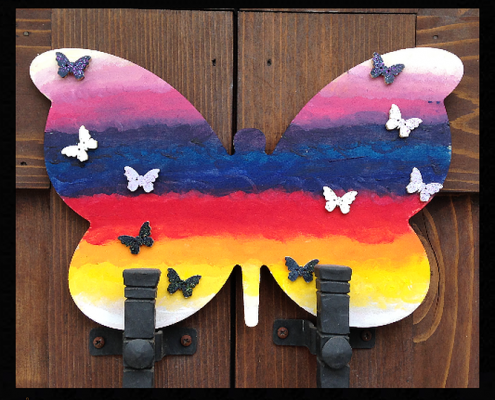 Click here to see our artist gallery and to become a Butterfly Effect Artist, click here. Once the butterfly is created, the fun begins! Clues are sent out every Sunday. To recieve clues follow us on Twitter and Instagram (@Butterflyeffectlives) or like us on Facebook. *Even if you’re not in the exact location, if you know someone who is tag them or contact them to find the butterfly by proxy and we’ll still donate to an organization in your name! After you find the butterfly follow the instructions on the back. Congrats! You just found a Butterfly Drop! Welcome to the Butterfly Drop Tribe – an underground movement that strives to seek the courage to face adversity in ways that lessen, rather than add to the suffering of the world. We move in small unexpected ways, one butterfly at a time. 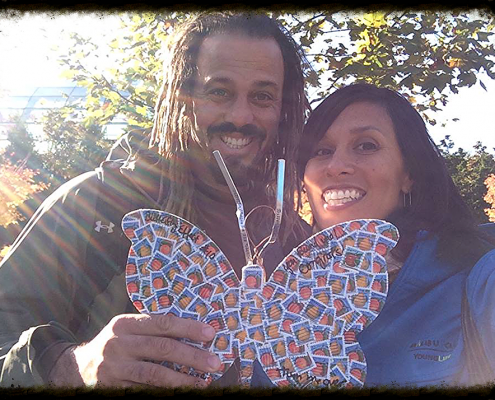 If you found a butterfly- you are now a participant in the movement! Welcome! • Let us know what charity you would like us to donate to in your name. You pick the charity and we will donate $250.00 to the cause in your honor. People all over the world have had the oportunity to donate funds to an organization close to their heart. Following our movement takes less effort than a garage sale, car wash or organizing your own fundraising campaign. Here is a list of organizations we’ve donated to. Now is your chance to join the Butterfly Effect movement. Help set in motion the molecules of hope, that will set in motion molecules of faith, that will set into motion molecules of love.